Home / Family Life / Do you need new glasses? Save some money with Warby Parker! Do you need new glasses? Save some money with Warby Parker! It is back to school time and a lot of kids and even adults are getting physicals and eye exams done to turn in all of that wonderful paperwork that they require! I know it was on my list of things to do this summer and I needed new glasses. I had worn my old glasses for a long time, my old frames were shot. Having worked with Warby Parker previously I knew the best thing to do was to just get a written prescription. The markup for glasses purchased at an optometry office can be as high as 1000%! Doesn’t that just seem insane? I do not want to pay anyone that kind of profit margin, it is just outrageous. I found a perfect pair of glasses with new frames, lenses and shipping for $95.00 on Warby Parker! That is so much better than the $400 I paid the last time I needed a new pair. They have amazing sunglasses as well! Warby Parker is an online glasses company based in New York that makes really affordable and fashionable glasses. I love so many of the things about this company. They have a Home Try-On program,(I will talk all about this in a minute) the glasses are real high quality, and they donate a pair of glasses for every pair that someone buys from them! I think that is amazing, doing good for society as a whole can be such an important part of living a full life! With the Home Try-On program through Warby Parker, you browse through the website and pick out five that you love. I always choose 4 that are ones I think are good and then always a wild pair just to see. Warby Parker will ship the 5 pair to you free. You then have 4 days to try them on and show all of your friends, see what everyone thinks and pick the ones that you LOVE!! Once you do that you can purchase them at WarbyParker.com pack up the try on pairs and ship them back, return shipping is free too. I love my glasses, they are the first pair of glasses that I have gotten that are comfortable and feel wonderful! The lenses are perfect and so clear. When your glasses are shipped they include a case and a eyeglass cleaning cloth. 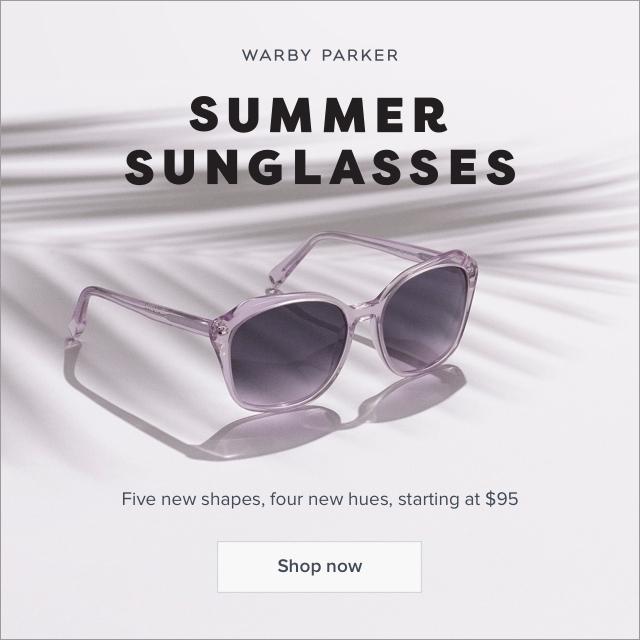 You are going to love your glasses from Warby Parker and I know you are going to love the Home Try-On program. Check them out for all of your back to school glasses needs.